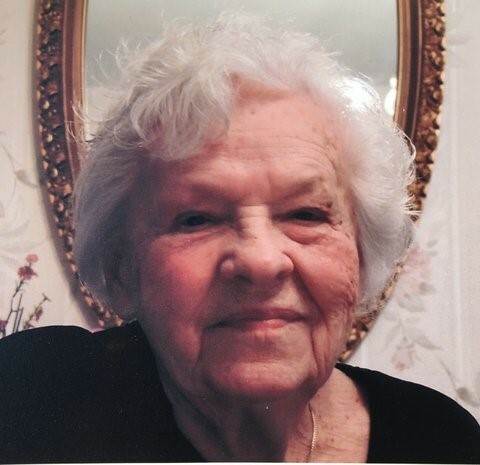 Phyllis L. (Bogdan) McKay, 95, of Springfield, died on Tuesday, March 19, 2019 at home with her loving family by her side. She was a retired Bank Loan Officer at Chicopee Savings Bank. Phyllis was born on November 20, 1923 in Chicopee and was the daughter of the late Marek and Karolina (Glowacka) Bogdan. She is predeceased by her husband, Kenneth McKay; a brother, Mark Bogdan and nine sisters, Josephine Thornlow, Frances Ryder, Genevieve Elie, Alice Robak, Mildred Irzyk, Elizabeth Strycharz, Dorothy Martin, Barbara Bienia and Mary Rose Paluch. 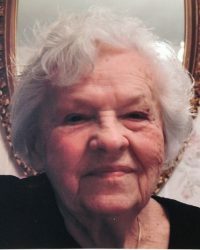 Phyllis is survived by two sons, Kenneth McKay and Timothy McKay of Springfield; a sister, Florence “Pat” Bourdeau; three grandchildren, Jennifer Palermo and her husband Scott, Anathea Draper and Michael Goyette and his wife Jen; seven great grandchildren, Jasper, Olivia, Dillon, Namie, Noah, Elianna and Emma and a great great grandchild, Hannah. Calling hours are on Saturday, March 23, 2019 from 3 to 5 pm at the Cierpial Memorial Funeral Home on 69 East St. in Chicopee Falls. Burial will be private at Hillcrest Park Cemetery in Springfield.